Let us know a time that works for you and we’ll call you. Not a good time to talk? Let us know what time is convenient and we’ll contact you. Looking to buy or sell a home with a Cedar Roof? Cedar is a beautiful, durable and environmentally friendly roofing option. Whether you are constructing a new home, have an existing cedar roof in need of replacement or want to switch from an asphalt roof to a cedar roof or Enviroshake, our roofers have the expertise, knowledge and experience required to improve your home to get the job done right. The sooner preservation begins the longer you can expect your roof to last. Protecting your wood roof from the damage of both moisture and ultraviolet rays will not only look great but can double-even triple-the life of your roof. Whether you are a first time customer considering roof treatment or a Re-coat client who had the wood roof previously preserved our roofers are ready to help. call and let us protect your home. As long as your cedar roof is protected from the effects of moisture and ultraviolet rays it will not only look great but can double-even triple-the life of the cedar roof. Ask us about our Customer Guarantee and Transferable Warranty repair programs. 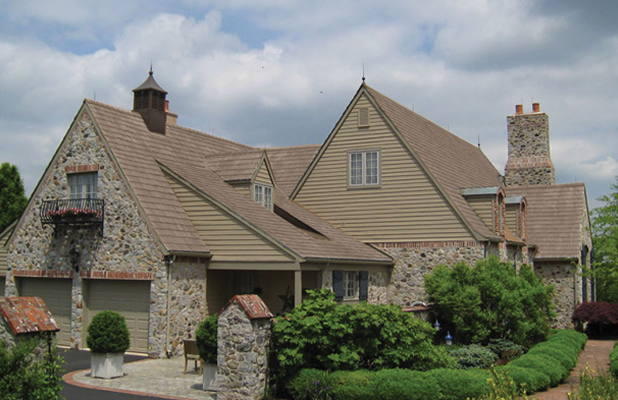 We are the only local cedar roof company to offer programs that help facilitate the sale of cedar roof homes throughout Chester, Bucks, Montgomery, and Delaware Counties. Professional documentation including Roof Certification and Transferable Warranties are available for qualified cedar roofs.